Last edited by Vixen on Wed Oct 03, 2018 5:16 pm, edited 5 times in total. Image (Preferably real but not necessary): ??? Why do you live in Republic City/Bio: Seiji was a part of a small village in the furthest reaches of the world. He lived there together with his grandma. He never met his parents, but he heard a lot about them from his grandma. 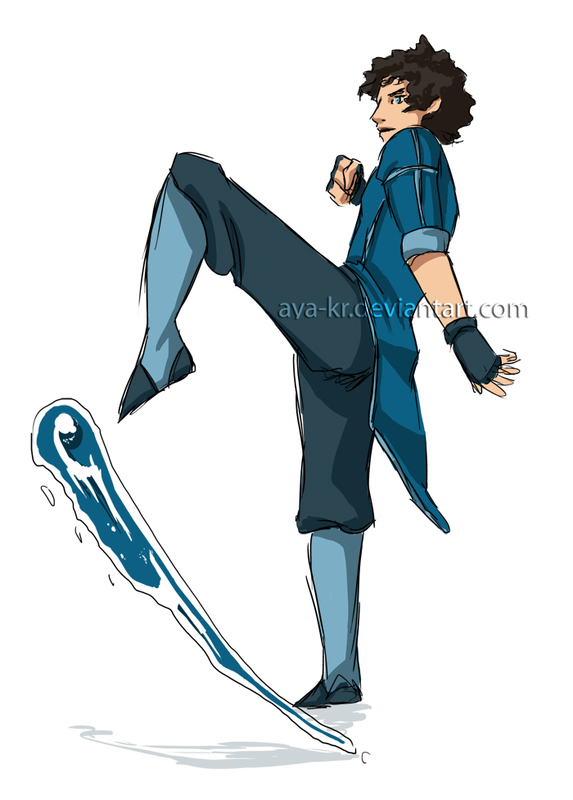 He had friends his age in the village with who he often held water bending tournaments. As time went by, the village became smaller and smaller with it's younger residents moving away to bigger cities like Republic City and the older ones dying of old age and soon there was only him and a few wise elderly who taught Seiji most of his bending. Realizing that she wanted Seiji to explore and experience other cultures, his grandma sent him towards Republic City. Last edited by ScorpiBun on Mon Oct 08, 2018 3:00 pm, edited 1 time in total. Image means if you have a reference picture of what your character looks like. But I don't really care much about it. Written descriptions work just as well. Last edited by Vixen on Wed Oct 03, 2018 5:35 pm, edited 2 times in total. Why do you live in Republic City: Moved there from the Earth Kingdom years ago. Image: 6'1 tan caucasian male with black hair and green eyes. Wears black and green robes and is usually barefoot. Why do you live in Republic City? All Hotaru''s life, he's lived in poverty and peace, in a mountainous region secluded from society, until the Fire Nation attacked, destroying his home and killing his family. He's come to Republic City because it's all he has left to make a new life for himself. Why do you live in Republic City: takaru wants to know the world has to offer he wants to be in a pro bender league and he enjoys the art of combat and want to fight strong people of every nation including air. He has a strong heart and can only feel sorry for what the fire nation did to the other nations and he wants to see the other nations with out ffeeling as if everyone looks upon the fire nation with hatred and disgust.